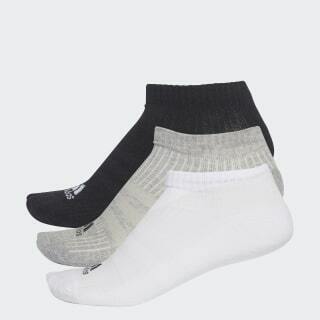 No-show socks designed to keep feet comfortable throughout your training session. Keep your feet happy while you work hard. These training socks have built-in arch support and padding just where you need it. They feature a no-show cut that disappears inside your shoe.